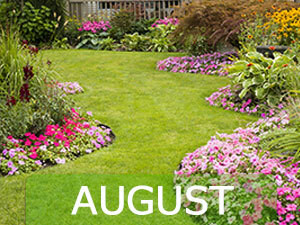 The end of summer is approaching and this means your plants have reached their optimum state. Now is around the time that many harvests begin so your fruits and vegetables could be picked for some delicious, organic meals! Follow these tips for an awesome August. – THIRSTY: By now your plants will be basking in the glorious sunshine but this means that underground, their soils may be drying up quick. Be sure to water all of your plants (in the greenhouse, fruit trees, vegetation and flowers) on a daily basis to prevent dead plants. – POTATOES: Now should be the perfect time to dig up those potatoes and harvest them. Be sure to store them in hessian sacks for the right light and ventilation conditions. – PLANT OUT: This time of year, it is advised to plant strawberry root runners. This will ensure you a good crop for the next Summer.